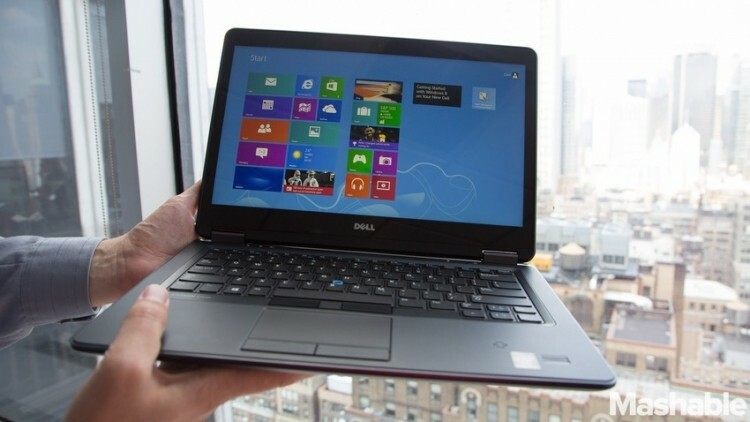 When Dell released the XPS 13 Ultrabook, they had consumer interests in mind, as it lacked the necessary security features for business. Now, however, the company is looking to bring the same sleek design and under-the-hood capabilities to professional users with the new Latitude 7000 series. The laptops come in either 12 or 14-inch screens which are embedded in an elegant carbon fiber lid. Resolution starts at 1,366 x 768 pixels for both sizes and the displays are of the non-glare, non-touch variety. For those with a little extra money to spare, you can upgrade the display to an HD Gorilla Glass touchscreen; although for most business users, this probably isn’t a necessary expenditure. Beneath the proverbial hood, the Latitude 7000 will run on Intel’s new Haswell processors up to Core i7 and will also feature HD 4400 graphics. On the storage front, you can expect a 256GB SSD for the 12-inch variant, while the 14-inch model will either sport a 256GB SSD or a hybrid hard drive. When it comes to features, the Latitude 7000 is fully stocked. It has a wide range of ports, including three USB 3.0 sockets, as well as full-sized Ethernet and HDMI connections. And unlike the XPS line, Latitude owners will be provided with built-in TPM chips, NFC technology, both software and hardware encryption, and the option to add fingerprint and SmartCard readers. Furthermore, for individuals who are always on the road, a strong battery life is a must; something that Dell has clearly taken into account. Not only does the three-cell battery reportedly last 8.5 hours on a single charge, but it’s completely swappable if need be. The Dell Latitude 7000 will hit store shelves on September 12th, and is expected to retail for $1,049. In addition to this flagship design, Dell is also set to release two more affordable laptop lines: the Latitude 5000 and Latitude 3000. Understandably, each of these lines will throttle back on the processing power and the number of available features, with the cost reflecting these changes ($599 for the 3000, no cost estimates on the 5000).